Due diligence, or due care, is a term that we often hear in the world of company acquisitions. In Russia, however, the tax authorities also impose a major duty of care on companies when they participate in everyday commercial traffic. If you do not investigate your counterparty or do not document this properly, you may not get your VAT back from the tax authorities because you were working with an unreliable party. Hastily signing a large contract with a Russian company that is unknown to you is therefore not only risky because the counterparty may not comply, but also because you may be confronted with disadvantageous tax consequences. 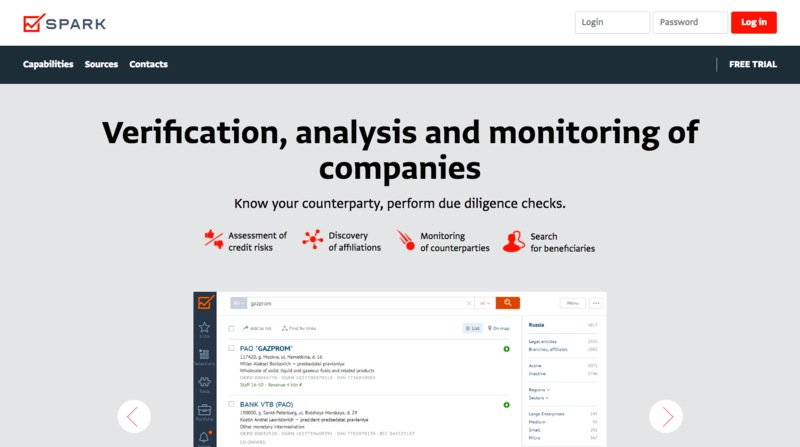 This article focuses on legal due diligence of companies before you do business with them, but the tools described below can also be very useful for acquisitions of Russian companies. Western companies that do business in Russia often have no knowledge of the strict due diligence requirements of the Russian tax authorities. And as soon as they find out about it, it is often so overwhelming that they ignore the whole thing. They may also get help, often from one of the big 4 business service providers, to give them a very expensive sense of security. There is, however, a better way, which I want to explain in this article. The mayfly, in Russian the фирма однодневка, is also known under the following names: rubbish dump, lantern, bruise, hedgehog, and astronaut. There is no definition of the term “mayfly” or one of its equivalents in Russian Law. The Tax Administration uses the following broad definition: a legal entity that does not have any actual autonomy, which was not set up with the aim of carrying out entrepreneurial activity, and which, as a rule, does not file a tax return and is registered at a mass address, and so on. A characteristic of a one-day-fly is, therefore, a lack of real economic activity. At most, it applies for and receives state aid. Such a company is often only active on paper and does not pay any taxes. It speaks for itself that the mayfly is a thorn in the side of the Russian tax authorities. The fight with them is a priority for the them. How do they cope with this? On the one hand, pretty well. In 2011, 4.5 million legal entities were registered in Russia, of which an estimated half consisted of mayflies. Since then, a clear downward spiral can be observed. In June 2017, there were an estimated 650,000 rubbish dumps in Russia. However, the fight has not yet been won. Corruption and tax evasion remain a huge problem in Russia, and in many cases, stricter controls of the tax authorities have led to more inventiveness on the part of corrupt politicians and tax-evading businessmen. As tax evasion schemes become more complicated, the tax authorities are not able to research every matter down to its source. Thus, this is the manifestation of the frustration, inability, and distrust with which the Russian Fiscal Authorities treat companies. 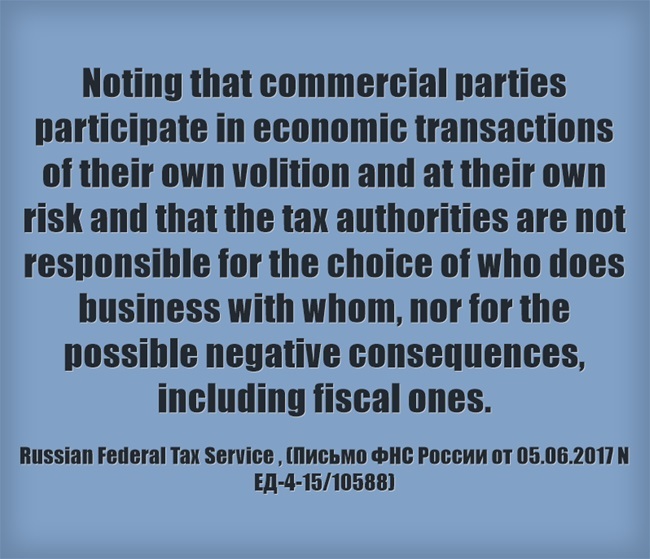 With this “it’s your own fault” reasoning, the Russian tax authorities shift the risk that certain parties do not comply with their tax obligations to commercial parties who have done nothing wrong, besides having done business with a mayfly. The ease with which the risk of incomplete tax payment of third parties is transferred by the Russian tax authorities to private parties is concerning and resembles a reverse proof: you are considered guilty until proven otherwise. There is, however, no legal norm in Russia which states that the refund of VAT to a taxpayer is dependent on the prior payment of VAT from his supplier. All companies that have ever done business with a mayfly are viewed with suspicion. Their request for a VAT refund is rejected, and their profit tax is adjusted upwards. The mistrust and suspicion that are unfortunately still characteristic of Russian society are expressed here in the actions of the tax authorities. They assume that you conspired with the rubbish dump. 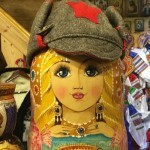 Fortunately, Russian courts take a more balanced and reasonable position. But the tax authorities are stubborn, so be prepared to verify your business partner and document this, too. As I said, the attitude of the courts does not correspond with that of the tax authorities, but they both demand due care from economic operators. Due diligence or due care is a very broad concept that can mean many things. Here, we are talking about a reasonably thorough legal verification of the persons and companies with whom you do business. The aim is to show that another right-minded commercial party could also have concluded the same transaction. Does the company with which you plan to do business actually exist? 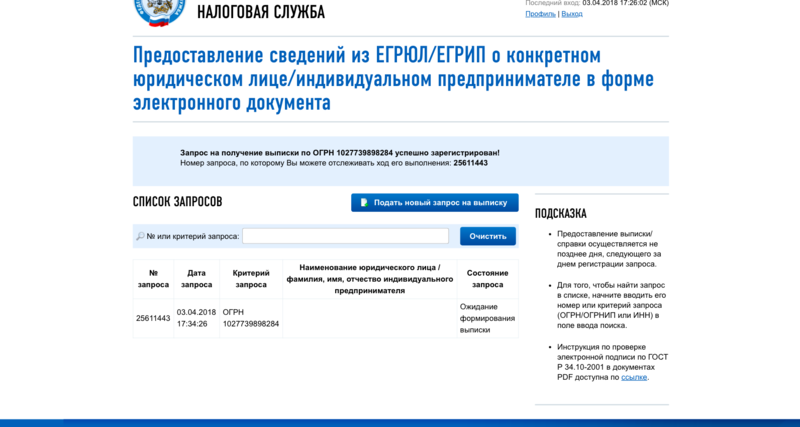 You can check this on the well-known website of the tax authorities https://egrul.nalog.ru/, but you’ll do better on this site, also managed by the tax authorities. For this service, you have to register, but it’s very simple. If you request an electronic extract from the trade register, then it takes a while before it is created. The excerpts generated via this site are provided with an electronic signature, and it takes a while before it is created. After waiting, you can download the document and save it electronically, or print it out and keep it in a separate folder. There is a date on the electronic extract, so you can prove that before you went to do business with the company, you checked that its State registration number was included in the Russian Trade Register. If you do business with a non-existing company, you have 100% certainly not met the requirements of due diligence. What is the basis of the authority given to the representative of the company with whom you are doing business? Ask for this document. If you are dealing directly with the director, ask for scans (or copies with a signature) of the Statutes. In fact, the power of office of a director can be limited in the Articles of Association. The appointment decision of the director must also be examined. In short, every document that may contain a limitation of the authority of the representative of the company must be viewed. This is also an essential element of due diligence. In consequence of art. 3.11 of the Russian law on Administrative Offenses, a person can be “disqualified.” This implies, among other things, that he can not hold the position of director of a Russian legal entity for a minimum of six months and a maximum of three years. In the online register of disqualified persons managed by the Russian tax authorities, you can check whether the director of a company you want to do business with is disqualified. If you are negligent in this respect, you will almost certainly not meet the requirements of due care. If the company with which you do business requires a license to trade the product you purchase, it is a good idea to request a copy of this license. licenses are required for many activities; just look at article 12 of the Licensed Activities Act. Checking the license is also an essential element of due care. If the address of the company is marked as incorrect in the Russian Trade Register, that is a big risk. For the tax authorities, this is a sign that the transaction with this company may have been fictitious. The reason for an indication that the address is incorrect may be that the legal and the actual address differ from each other. Is the company registered at a rubber address? This is not a critical risk in itself. There are many legitimate companies that are registered on mass addresses. However, care must be taken. In combination with other risk factors, it may be important. If the director of the company is at the same time the director of more than 5 other companies, this is also seen as a risk factor. Certainly, it is problematic if one of the companies of which he has been director has been dissolved by the tax authorities due to lack of activity. A good place to check this is the below-mentioned Spark (paid) or on the free Saint Petersburg-based Datafabric, which however is much less clear. You request the party you want to do business with to obtain a tax certificate (справка об исполнении обязанности по уплате налогов, сборов, пеней, штрафов, процентов). Another circumstance to look at is the presence of many different codes of economic activity (ОКВЭД). If the company can do everything, but the service or product that you want to purchase happens to not be part of its economic activity, then that, in combination with one of the other points, is a risk factor. However, there is no legal restriction on the number of activities that an organization can carry out. If the company you want to do business with has just been set up, this can, in combination with other risk factors, be seen as a risk factor by the tax authorities. The absence of a website is also seen as a risk factor by the tax authorities. It should be clear that companies are not obliged to keep a website. This is purely something that the tax authorities themselves can check fairly easily. Good communication is extremely important. Russians are very careful with issuing a copy of their passport, and not without good reason. It is important that you first gain their trust before you make it clear that you want to view these documents. The same applies to all requests that you address to your intended business partner. Many requests could be seen as a sign of distrust. The number of sources made available by the government is constantly increasing. That is why it is very useful that there are sites that integrate the data from various sources into one system. The most famous sites are Spark InterFax and Kontur Fokus. These systems are not only used by companies. Investigative journalists also make extensive use of these systems. With their help, they often succeed in establishing a link between a company and a high-ranking official or politician, or in other words, to expose corruption. Where do these sites get their information? Most of it they get from free governmental sources, in combination with other sources. It is, of course, very convenient that you only have to visit one site and do not have to consult all these sites, but in some cases, you also have to pay for them. The beauty of the artificial intelligence behind these databases is that the data obtained from different sources are combined and stored, so that you can see at a glance which organizations are affiliated with the company. Is the director, if they act as director for multiple companies, more active in this company than others? Have a number of these companies been liquidated in a short time? And so on. In this respect, Russia is actually far ahead of many other countries. Just looking at all these sources is not enough. You have to prove that you have done research, preferably before any business relationship with this company began. How do you do that? There is not one correct method. The more security you incorporate, the better. What is recommended by some lawyers as a kind of extra security is to send the data that you find to the company you intend to do business with, with the request to confirm that all the information is correct. Even more thorough lawyers ask that all copies be verified with the signature of a director. Sometimes, I have copied page-by-page for customers of my customers for hours on end and verified with my signature. I can tell you it’s hard to feel useful and love your job at these moments but it is part of the Russian reality of doing business. Once the trust is established and you build a lasting business relationship with your customer, all of this is no longer necessary. As I mentioned, thorough legal due diligence is part of doing business in Russia, whether you like it or not. If you do not do this, you unnecessarily expose yourself to risks. Of course, sometimes it is rushed, and the resources are sometimes limited. You should make sure that you have checked off at least the first three points of the checklist above because if they are not in order, you will not meet the requirements of due care. 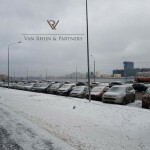 At Van Rhijn & Partners, we know Russian business culture like no other, and we know the reasonable way to comply with due care regulations. We can carry out a thorough legal due diligence investigation for your organization from two hundred euros.